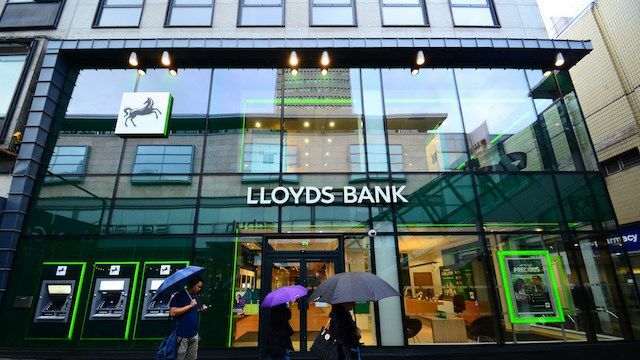 Phone Lloyds Bank on their customer service contact number 0345 300 0000 for general enquiries about your current account and to get live updates of your balance, thus helping you plan for upcoming bills. Similarly if you aren’t sure of a charge that has been applied to your debit card you can phone this helpline to query it making sure it isn’t either erroneous or fraudulent. Furthermore if you would like to extend your overdraft you can call their friendly advisors who will decide based on your existing debt and your credit history. Additionally as their main telephone banking helpline you can call this number to transfer funds from your account to another fund, regardless of which bank the payee is with. You should also call this customer care department if you would like to change any of the details associated with your account, for example if you have moved house or changed your name following a marriage. Finally if you aren’t an existing account-holder with Lloyds then you can also phone their staff to open a new personal or joint bank account. Please note that you will not be able to contact Lloyds (formerly Lloyds TSB) about any account you have with TSB as these are now separate financial institutions. 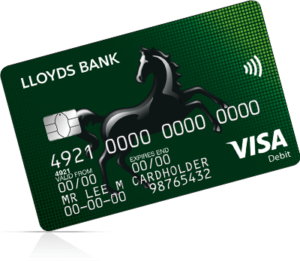 Call Lloyds on their telephone contact number 0345 606 2172 for general enquiries relating to their range of credit cards, for example to check the APR interest rates that currently affect your card and to extend your account limit. If you aren’t an existing customer you can also phone this helpline to apply for a credit card and to track your existing application, however please be aware that your eligibility for their produts will depend on your credit limit. Alternatively if you would like to make a compensation claim related to mis-sold payment protection insurance (PPI) or you would like to collect rewards in the Lloyds Avios rewards scheme then you should consult the useful table below to get the contact details of the correct department. Phone Lloyds Bank for free on their freephone contact number 0800 096 9779 to report a lost or stolen card. This helpline is operated 24 hours a day, seven days a week and can be used to notify them about both credit and debit cards so please do not hesitate to call them. Once they have blocked your card to prevent it from being used by fraudsters they will then send you a replacement as quickly as possible, thus you can also phone this helpline to get updates on how long it will take and to get advice on how you can withdraw funds at your local branch without your card. Contact Lloyds for free by calling their freephone number 0800 068 1191 to apply for a loan and to check out the interest rates that apply to each of their borrowing packages. Moreover if you are already have a loan with this bank you can call this customer care team to increase the amount of money available to you in your agreement or to change your repayment term by paying your debt off over a longer period of time. By contrast if you would like to pay off your loan early you can phone this freephone helpline to transfer funds from another account in order to remove your outstanding debt. Please be aware that borrowing money may affect your credit score so remember to ask thorough questions to their team of financial advisors. Call Lloyds Bank for free on their freephone contact number 0800 783 3534 for general enquiries about your mortgage, whether this is regarding your interest rates, borrowing term length or amount of equity secured against your home. Additionally if you would like to remortgage your property with them you can call their friendly team of customer service advisors to see how much you will be able to borrow. However please note that any of their mortgage products are secured against your home so it may be repossessed if you are unable to keep up with your regular repayments, thus if you are struggling to pay off your debt you should call them immediately to request an extension. Phone Lloyds for free by calling their freephone contact number 0800 849 6089 for life insurance enquiries, where you can increase the level of cover available to your family and loved ones in the event of your passing. Furthermore if you have recently suffered a bereavement and the deceased was a life insurance policyholder with Lloyds you can call this helpline where a specially-trained advisor will assist you with the probate requirements for you to make a claim on your policy. This helpline only applies to policies which start with ‘1’ so please consult the table below if your documents do not have this prefix, you should also be aware that Lloyds are currently not offering new life insurance policies so you will be unable to get a quote. Phone Lloyds if you are interested in taking out one of their business insurance policies by calling their contact number 0345 377 0002. Their comprehensive range of policies protect you against conventional risks such as fire and theft as well as public liability cover. Additionally this is their main claims helpline for business owners so if you would like to receive your insurance payout you should contact their helpful staff members who will guide you through the process of making a claim. Finally they offer a range of policies dedicated to specific types of company so if you find your type of business in the list below you should call Lloyds Bank to get a quote. Contact Lloyds Bank for free to arrange an in-branch appointment by calling their freephone number 0800 015 0029. By calling this helpline you can request to speak to an advisor about a loan, mortgage or your overdraft limit, for example if you would like to increase the amount you are borrowing from them. Although Lloyds do not have a customer service email address you can still contact them online by visiting their ‘contact us’ website, where you can find an automated question service as well as helpful answers to FAQs.